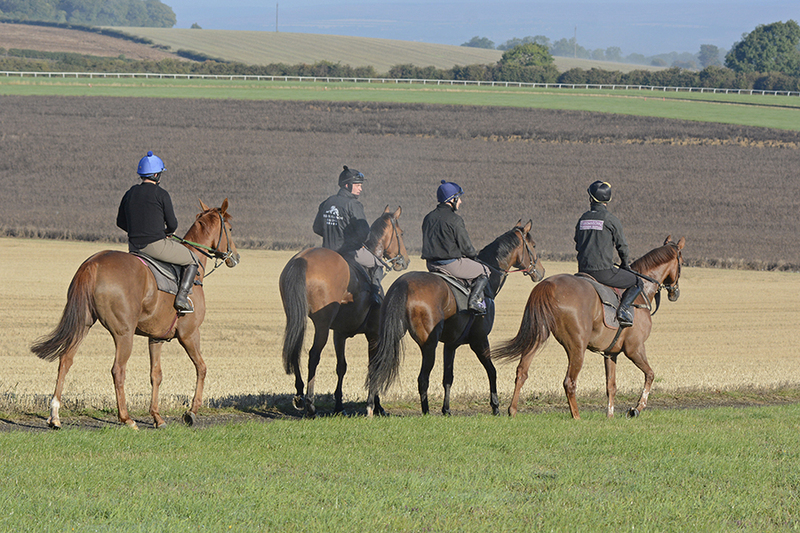 We’re a 20-minute walk from Langton Wold Gallops which is perfect. 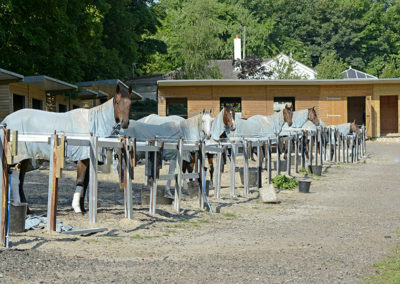 The horses are warmed up by the time they get there and cooled down by the time they have walked home. 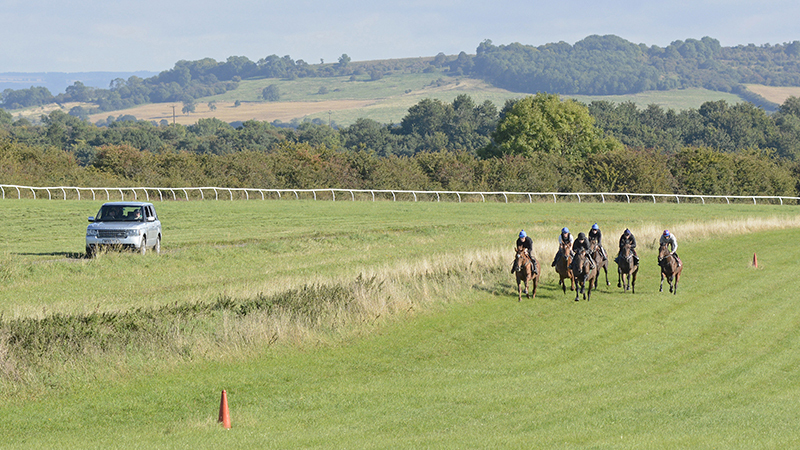 Open 365 days a year, Langton Wold Gallops cover an area of approximately 120 acres and are regarded as some of the finest in the country. 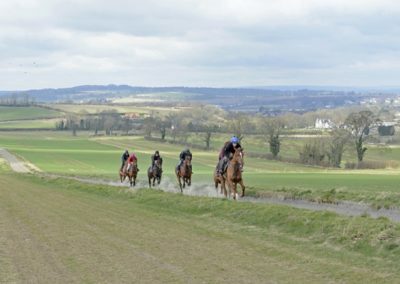 They include six-furlong and 1m3f polytrack gallops and a five-furlong, six-furlong and 1m2f grass gallop; schooling grounds include six steeplechase fences and two Grand National fences in addition to three flights of hurdles, starting stalls and trotting rings. 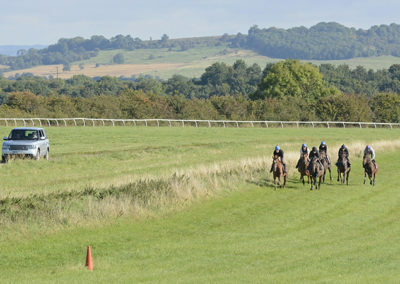 And although these Gallops are available to everyone they are often quiet and peaceful with very few horses using them at any one time. 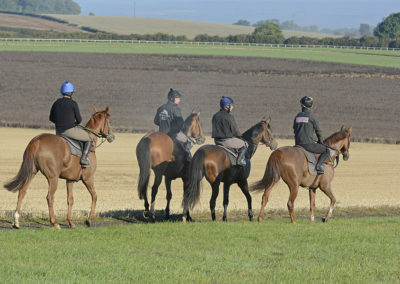 The horses are relaxed, not wound up in the least, unlike Newmarket Heath where there is often a queue of horses waiting to get on to the various gallops. 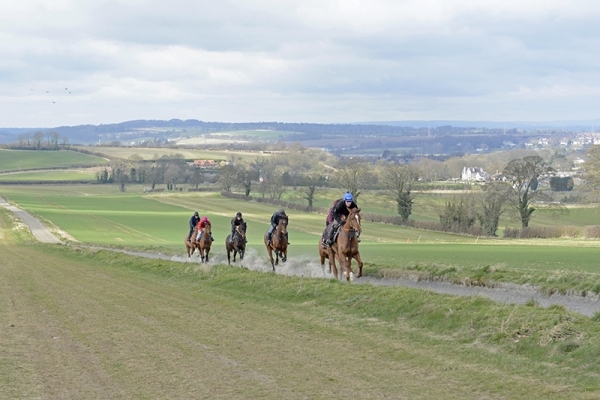 We’re five minutes from Highfield Gallops which include a 7½f sand gallop and 1m2f grass gallop. 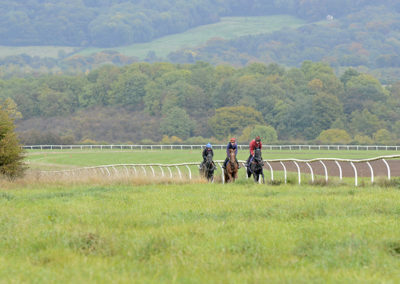 Having the use of these gallops practically next door to us keeps the horses training varied and interesting. 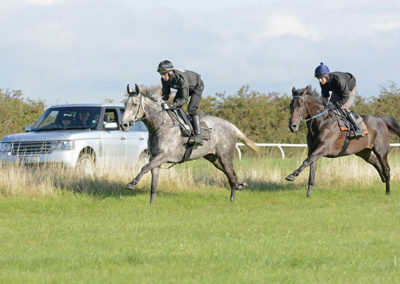 We have five two-stallers and like to transport our horses to the racecourse ourselves whenever possible. 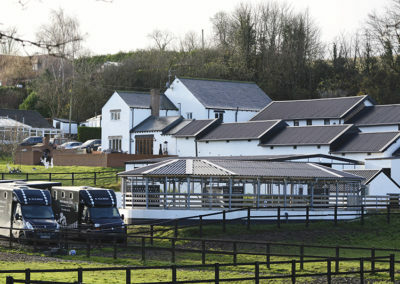 All are fitted with CCTV and air conditioning. 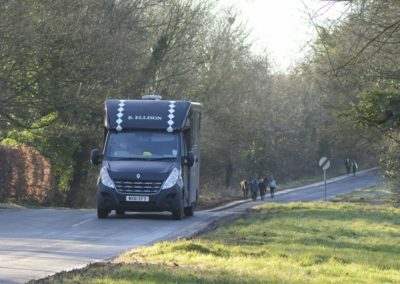 When we need to, we use outside transport. 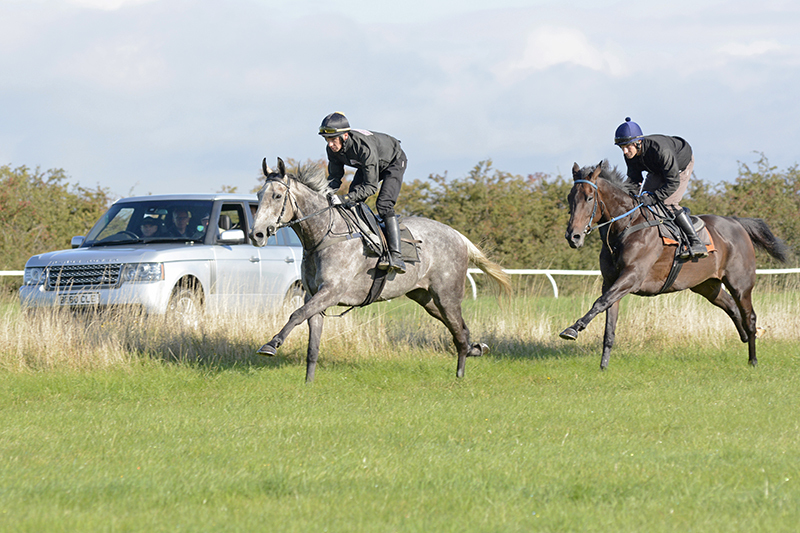 We have three flights of hurdles at Spring Cottage Stables in addition to access to the fantastic schooling facilities available at Langton Wold Gallops. 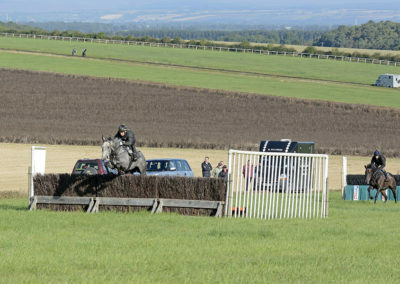 We have one horse walker. 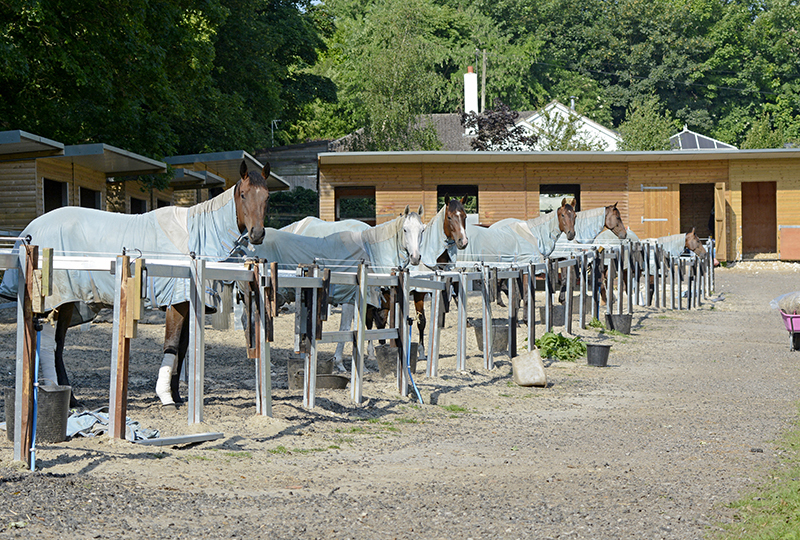 It is covered and can exercise up to five horses at any one time. 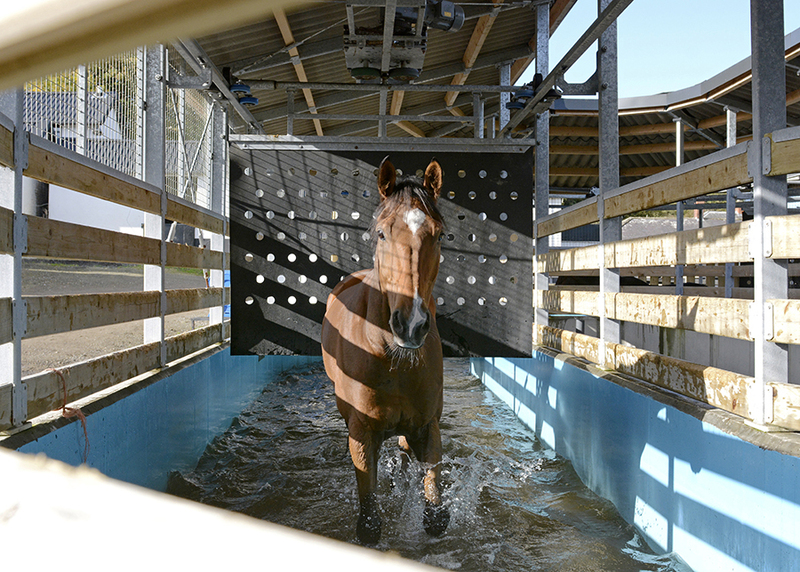 The installation of the Kraft Water Walker in 2014 has been a fantastic addition to the yard. Up to five horses can exercise at any one time in varying depths of salt water. 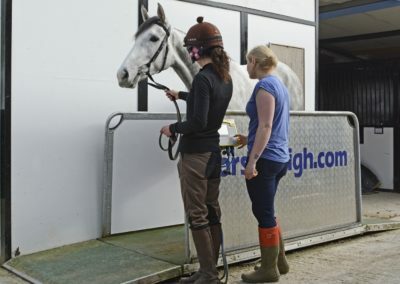 It can be filled up to their joints or their stomachs, is very hygienic and produces amazing results on horses with leg injuries and ailments and back problems. It has proved beneficial to many other niggling little problems too and the horses love it, walking in and out unaided. 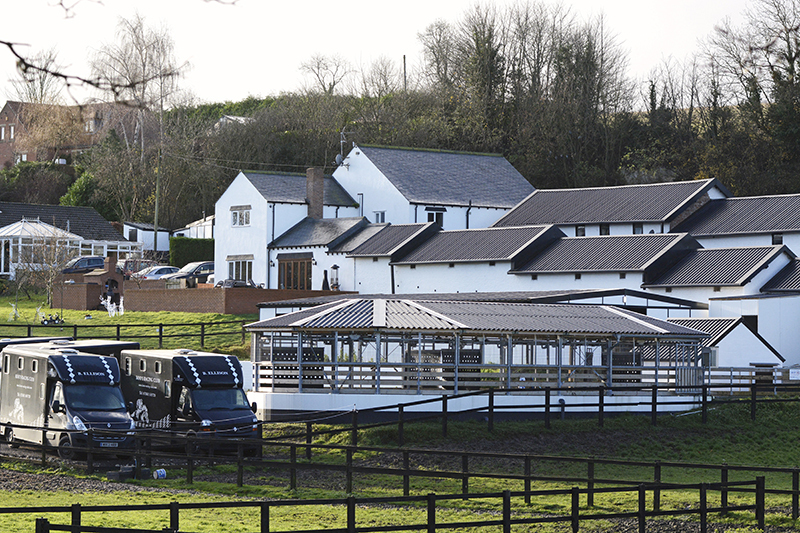 We have 19 turnout paddocks at Spring Cottage and they are used regularly. 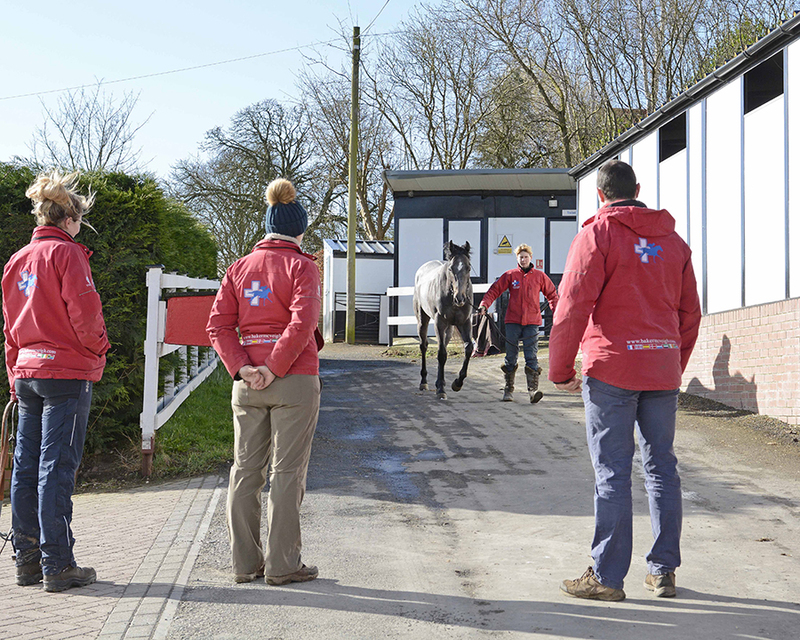 Time out in the paddocks is essential for the horses’ wellbeing offering a change of scenery, relieving possible boredom, allowing them to unwind, have a jump and a kick and generally enjoy themselves. 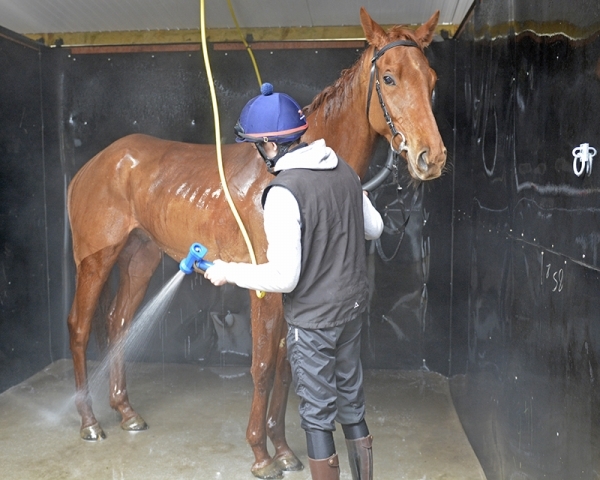 We have four wash bays with hot water showers situated in the new barn where all the horses are hosed off after exercise. 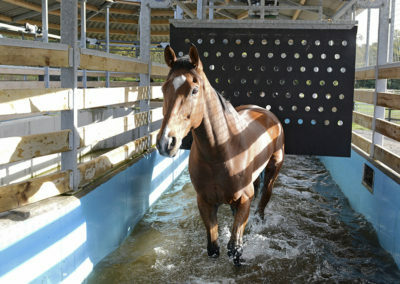 Horse Weigh– The Olympic Horseweigh was developed with two and three year-old flat racehorses in mind. It is wider than most standard models with high-quality, non-slip, green rubber flooring. All our horses are weighed on a weekly basis and before and after racing. 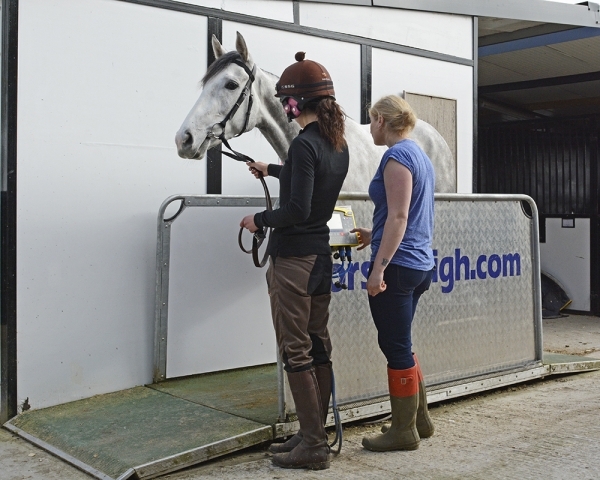 The weight of a horse is an important indicator of how quickly they recover after a race and how much has been taken out of them by running. 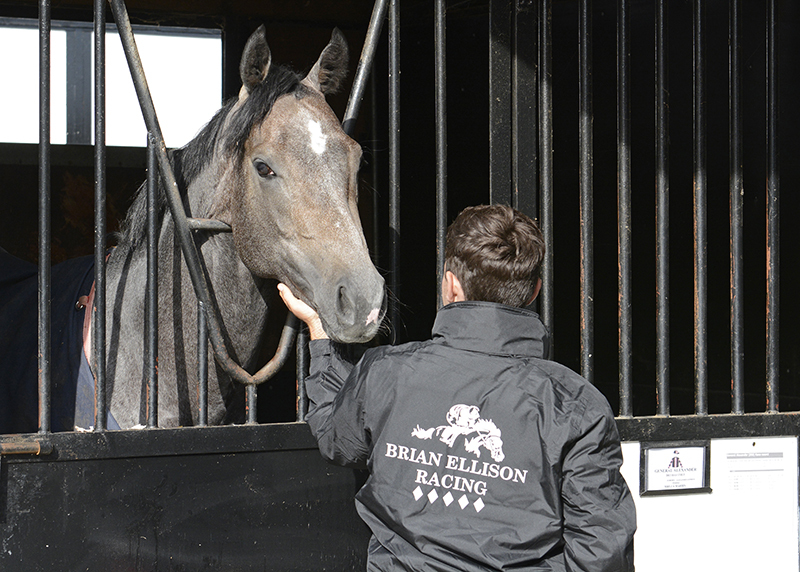 Heart Monitors -Brian was pro-active in the development of equinITy Racehorse Performance Management, a system that uses continuous heart rate monitoring to provide an early indicator of potential health deterioration and also to determine the heart rate recovery time. 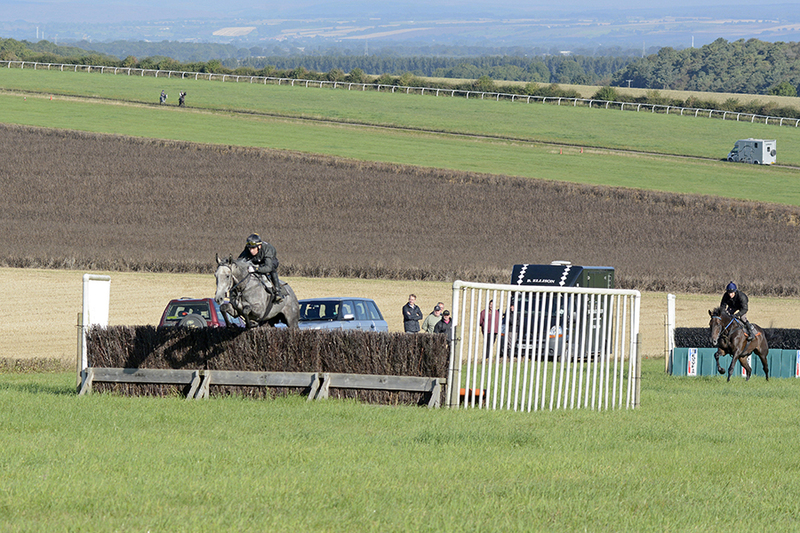 Used during exercise the heart rate monitoring and GPS tracking technologies are incorporated into a lightweight girth providing an accurate and detailed reading of speed, distance and heartbeats per minute in addition to showing how quickly the horse recovers. 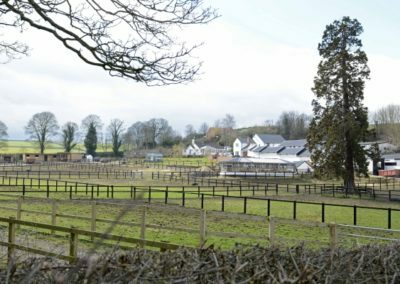 The information is then broken down into a secure and easy to use web-based programme, which illustrates and analyses the data producing highly informative performance reports. Claire plays a vital role in translating the individual readings and assessing the data with any abnormal readings alerting to potential problems which can then be dealt with promptly. We have CCTV fitted throughout Spring Cottage Stables and Highfield Farm Stables and all activities are monitored closely. We operate a smoke-free environment.